Editor’s note: The 2018 Breck Epic mountain bike race is underway, running August 5-10, and we sent Spencer Powlison up to Breckenridge, Colorado, to cover the event from a rider’s eye view. 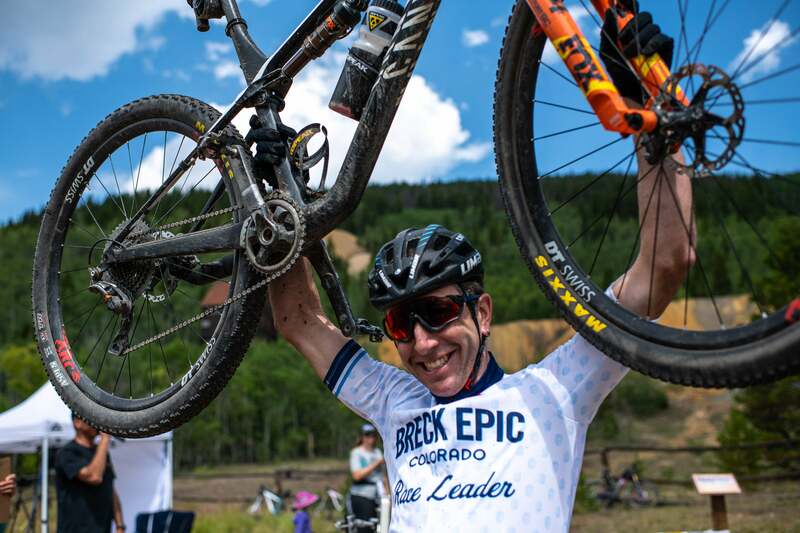 In addition to daily updates from the race, this series of “Breck Epic Basics” will offer tips on how to handle the challenges of an event like Breck Epic — or any multi-day cycling trip or event you might plan to do. I couldn’t determine who first said that (or something like it). Perhaps it was Eddy Merckx. No matter who devised this truism, they were right. Racing day after day takes a toll, and if you can find ways to recover well, sleep enough, and stay fresher than the other racers, you’ll have the edge. 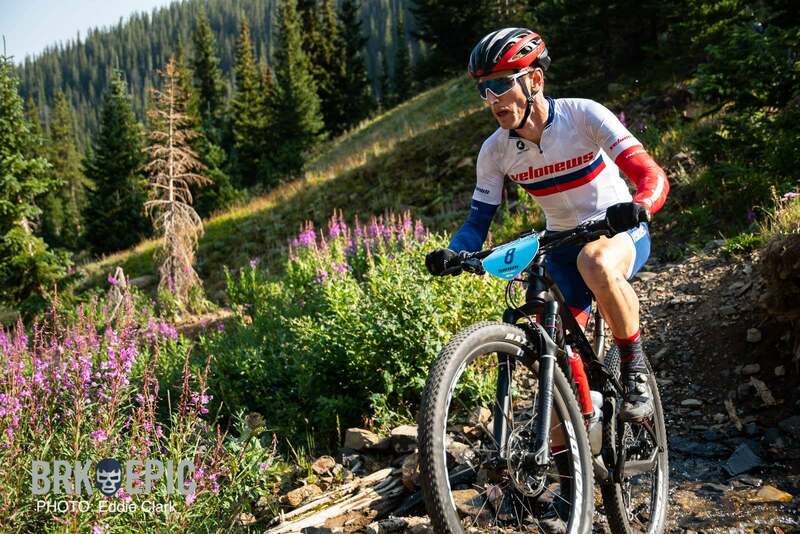 So for the six-day mountain bike race that is Breck Epic, it seemed fitting to ask a couple of pros how to handle the toll of a stage race: Jeremiah Bishop (Canyon-Topeak) and Amy Beisel (Orange Seal). “In the stage race, it’s full-on survival mode. You’re not trying to get in shape. Inflammation is building up, and one way to handle it is ice baths, or put your legs in an ice-cold creek — there are a lot of those in Colorado. I’ll go sit in the ice-cold water until my feet don’t hurt. Also, I might do it before bed. Sleeping is probably one of the worst things to deal with in stage races. Ben King, he can attest to it, having done the Tour de France. Sleep is rough. I’d say it’s partly just because you’re so amped up from the race and you’re thinking about the excitement from the race, the action the crashes, you have this inflammation, your heart rate is elevated. I avoid any narcotic sleep aid and drugs in general, if you need it that’s one thing. The ice baths really help. For some people that have chronic sleep issues, melatonin is pretty good that’s over-the-counter, pretty benign sleep aid that’s what I usually go to for these stage races if I have trouble sleeping. “Chamois cream is huge. Sunblock is the most important thing to bring … a hat with a brim. Naps daily if you can do it also make a huge difference. “Planning out the basic logistics of your meals makes a big difference. The process of finding a restaurant, ordering, waiting, and then waiting for a check isn’t very relaxing for me, especially at a race. Instead, I’m going to do a big grocery run beforehand, and I’m staying in a house with a kitchen. For midday meals, I’ll have lots of supplies to make burritos and sandwiches, and in the evenings, our group of friends will alternate on who cooks dinner.